Once again we had a banner year for Personal Audio, with a multitude of new products and new product designs. This year it was exceptionally hard to pick out the best of the best since there were so many amazing and innovative choices. If we could, we would highlight almost every product that was submitted for review this year, they were that good. Hats off to all the manufacturers that submitted products for review in 2018, you have propelled Personal Audio to the forefront of the Audiophile community and set new standards for all. Congratulations to all our winners for bringing so much enjoyment to so many, and Happy Holidays to everyone from the team at Headphone.Guru! If you’re looking for a musical instrument to deliver the maximum performance or you are seeking or lusting for a product that will make you feel as if you are in heaven, look no further than the Auris Nirvana. If you own reference headphones, you owe it to yourself to audition the Nirvana and see what they really sound like. The ability to step up performance and get out of the way makes this a magical instrument designed to provide the listener a lifetime of musical greatness. The Nirvana will stay with me as my new reference amplifier for my personal and professional listening. If you want to hear a true musical and magical experience you need to audition this amazing performer and perhaps as I discovered this just may be the musical heaven you’ve been searching for. Is this as good as it gets? For me this was one of the best musical instruments in my listening room this year or any other year and together with the Headonia a strong contender for product of the year. By overcoming the basic shortcomings of electrostatic headphones, limited bass response and limited dynamic range, the MrSpeakers VOCE have fulfilled the promise of electrostatic drivers producing a quality of sound unachievable with other driver technologies. But that “Holy Grail” of audio reproduction is not achievable without the musicality and power reserves provided by the HeadAmp Blue Hawaii Special Edition, which is why we have awarded this well deserved joint award to both manufacturers for achieving purity of sound otherwise not attainable. My hat’s off to HeadAmp and MrSpeakers for producing the best sound in a Personal Audio system I have yet to hear and congratulations on a job well done. The Headonia is one of the best I have heard in delivering speed and dynamics with exceptional musicality. No matter what headphone I played, the Headonia made all of them perform at their highest level and was able to extract everything out of the transducers. The Headonia is a musical instrument that delivers the ultimate in listening and a true end game design for people looking for the best in reproducing the musical experience. The Headonia merits consideration for the best in amplification design currently available. Achieving legendary status is not easy and rarely attainable, but after the way the Headonia performed, was able to step up every transducer it played, it is on its way to greatness and I predict legendary status. 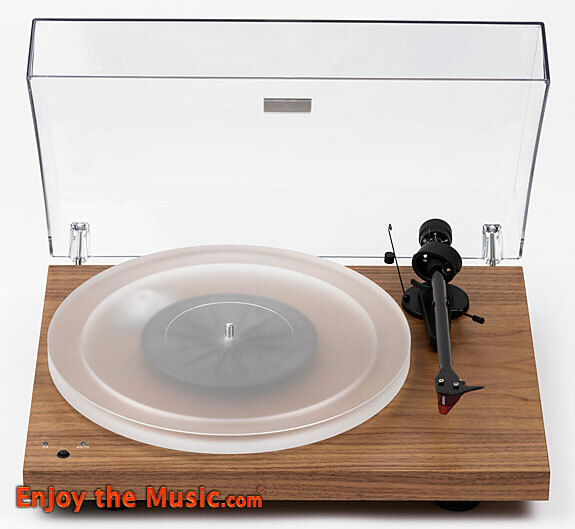 For many including myself this could be an end game solution, unfortunately I could not write the check and buy it, but gratefully I was able to have it in my listening system for a couple of weeks and the experience was memorable. This was an exceptionally hard year to pick out the best products in which to award honors, but one category that was easy for me was Solid State Amplifiers. Boiling down everything that made their four piece $12,500 “Gold Stack” Reference System great into a $2,000 single piece unit while adding Pro Audio features as well as wireless DSD communications and improving on what was already an epic DAC makes the Questyle Audio CMA12 Master a stand out reference product well deserving of the title Product of the Year. There were a lot of runner ups for this category including the peerless Schiit Yggdrasil Analog and PS Audio’s own Sprout100 Integrated Amplifier/DAC, but PS Audio’s Gain Cell technology as well as their amazing “Digital Lens” pushed the Stellar to the head of the pack, garnering a much deserved Product of the Year. Another hotly contested category was Budget Product with my favorite tube amp the Schiit Vali 2 and the PS Audio Sprout100 making extremely strong arguments in their favor but in the end it came down to sound quality and the Schiit Lyr3 with its abyssal noise floor and incredibly neutral musicality is not only the best sounding tube amp under $1,000, it is one of the best sounding amps period, and whether you choose to add the $100 phono stage or the epic Schiit Multibit DAC module for $200, the Lyr3 is an outstanding value and definitely a Product of the Year. Okay, Open Back Headphones was the most fiercely contested category for Product of the Year spilling over into the Writer’s Choice Awards as a result, but the MrSpeakers ETHER2 represents a new bar for planar magnetic headphones, achieving almost electrostatic performance in detail and resolution while retaining efficiency and dynamic range that electrostatics can only dream of. So it is with no reservation that we award MrSpeakers with this well earned award. Simply put, I absolutely love these headphones! They offer among the very best audiophile listening experience of any Bluetooth headphone that I’ve listened to or reviewed over the past several years. Incorporating their trademark RoomFeelTM technology, these headphones (along with the PSB M4U 8) really just sound “right”. Everything from styling, to comfort and most importantly sound quality just hits all the right notes! If you’re looking for a pair of on-the-go closed back headphones that offer an incredible listening experience (and have the ability to offer really impressive noise cancelling), I strongly recommend you give the HP70s by NAD a very strong consideration. To call the Mobius the Swiss Army knife of headphones would only gloss over just how amazing these wireless headphones sound! They bring all the audiophile goodness that we’d expect from Audeze and include 3D head-tracking and a boom mic to make your music, movies and video games come alive! They are able to render surround sound in up to 7.x via USB and when coupled with the 3D head-tracking your first person shooters have never sounded better! Throw in some Billy Joel or Led Zeppelin and your portable music will never sound any better. On a flight? No problem, use these with your iPad to watch your favourite movie come alive with these headphones. These headphones literally can do it all and break new ground for the world of personal audio. You definitely need to check these out! Paul still continues to amaze me with his products, which for the money deliver much more performance than you would expect. Whether you are watching a movie or streaming your favorite music, the M4U8 will deliver exceptional performance and keep you smiling. Highly recommended for anyone who loves watching movies or listening to music anywhere and anytime the M4U8 is a winner and deserves your consideration. PSB continues to hit home runs and I look forward to their next project. Superbly engineered and designed the M4U8 is an exceptional product. You know something’s amazing when you still think about it a year later. The flavor of the months come and go but the ones that truly stand out stick with you. The In Earz Euphoria excited me with its universal sound and welcomed me with its unwavering sonic characteristics. It’s that trusty multi-tool you have in your pocket that you can trust to perform. The Euphoria delivers great sound across the entire spectrum and is backed by a passionate team who welcomed me with open arms the day I sat down at their booth. The ifi xDSD portable Amp/DAC is my product of the year for 2018. At less than half the weight of its big brother the iDSD Micro, the xDSD is the perfect companion for any smartphone without a headphone jack. It also offers up Bluetooth mode to eliminate cords between the phone and the amp. The sound is full and rich and can last for a full 7 hours of battery life. Recharging is via a micro usb plug and the headphone jack can be both single ended or 3.5mm TRRS balanced out. Handy! Plus, you can use the xDSD as a stand-alone DAC for your home two channel system. It would nearly win for sheer multi functionality. But you will love it for its terrific sound quality. Don’t let they extremely good looks fool you as these headphone cables really serve as the perfect finishing touch to your flagship headphones from a sonic perspective. Both my Sony MDR-Z1R and Focal Utopia headphones came alive when I included the Axios cables into my setup. Everything from the handsome braiding, quality of materials and overall design exude a luxurious feel, but throw in the improved sound quality, clarity and transparency and you end up with some of the very best headphone cables I’ve reviewed! The treble smoothness that these cables can provide is quite impressive with both of the headphones I tried and the smallest inner workings of any recording that I threw at them were all laid bare. If you’re looking for the absolute final upgrade to your top of the line headphones, you really need to strongly consider the Axios lineup by Kimber Kable! If your looking to increase transparency and take your system to the next level you need to audition the AudioQuest Niagara 1000 and the Thunder, it may be the final purchase you need to make your system perform at its best. Listening to properly conditioned components is a revelation and AudioQuest has created the solution to eliminate the grunge and leave us with quiet and distraction free music. If you’re near an AudioQuest dealer, I urge you to demo the components and you may find you’re hearing your music through your system for the first time. The AudioQuest components delivered exceptional performance and made the system sound quiet and delivered a sensational listening experience. The PS2000e has exceptional musicality and was never bright in my system. The tonality of instruments and its world class sound-staging never disappoints. The ability of the transducer to extract everything out of the recording is amazing. The speed of the dynamic driver competes with any other design whether it be a planar magnetic or electrostatic. Looking for a reference headphone is never easy but can be a rewarding journey. The fact that we now have so many choices makes a music lover dream come true. The companies have stepped up their R&D and are building some of the best transducers we have ever experienced. The PS2000e is one of the world’s best headphones. This amazing headphone, priced at $2695, is a true reference headphone that competes with the world’s best designs. Whenever I travel, I’ve always felt I’ve had to sacrifice overall sound quality and transparency for portability. Well, with the release of the Diana headphones by Abyss, I have had to put that notion to bed once and for all. Yes, you can have your cake and eat it too with these magnificent headphones! The headphones are beautifully constructed and use all the luxurious materials you would expect of any flagship headphones. Their small profile storage case initially had me thinking, “here’s a great pair of portable headphones.” Then I got to listen to them extensively for my review and I was absolutely floored with what I heard. Not only were these portable headphones, but they were among the very best sounding headphones (regardless of category) that I’ve ever heard! Their bigger brother, the Abyss AB-1266 Phi headphones are one of the very best headphones I’ve ever had the pleasure of using and these headphones aren’t too far behind that experience from a purely sonic experience. That said, I could never leave my home with my AB-1266 Phi headphones, but these headphones are just perfect for any use around the home, in my backyard, walking in my neighbourhood or on a flight. These headphones just go to show you that size isn’t everything. Simply put, I love these headphones and they are definitely in my current list of “top 5 headphones”. I strongly suggest you give these a try…they will impress! For 2018, I’d like to recognize the Audioengine A5+ Wireless Speakers as my writers choice award product. As headphone audiophiles, speakers represent a separate but parallel portion of our hobbies. We run side by side but often times don’t coexist with each other. With my past setup over the last decades, the only speakers I could use in a room were ‘computer speakers’ which often lacked presentation, high frequency reproduction, and lifelike mids. The Audioengine A5+ Wireless Speakers have changed how I view speakers designed with computer media devices in mind. They pack a punch and maintain their clarity over both wired and wireless operation with ease. They wont fit as a stocking stuffer but will surely bring a smile to the lucky recipient. There were so many products I would have liked to honor with this award this year, it was just a year full of epic products, but new technologies are rare and Spirit Torino pretty much made the decision for me by producing the world’s first Isobaric Headphone, and in the price is no object end of reference headphones the Spirit Torino Twin Pulse Isobaric Open Circumaural Headphone is not all that expensive and with a speed and clarity rarely found in a dynamic headphone I was happy to add it to my personal list of reference products.